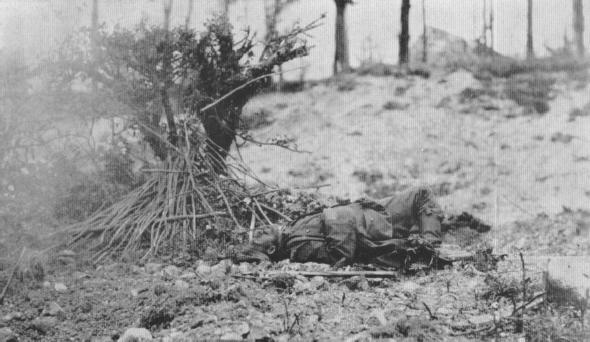 PERHAPS HE HAD A MOTHER TOOGerman killed by explosion shell at Cantigny where the 1st Division won the first All-American victory of the war. SO THIS IS WARAmerican field hospital in France. 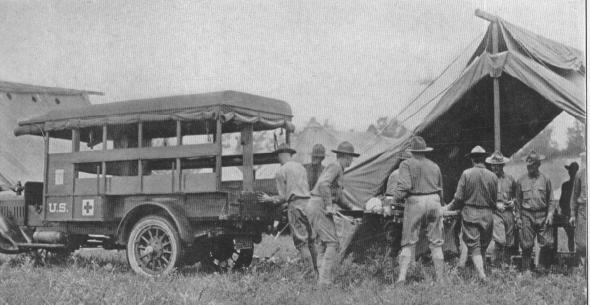 The photograph was taken as patients were being received from first aid stations farther toward the front. Months of hard training--a few minutes' fighting--then often death or this.